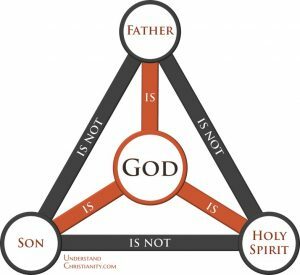 Is The Trinity for Real? I’ve had trouble understanding the Trinity. I don’t know where it comes up in Scripture. This came in an email to me recently. It’s not uncommon for Christians to hear things in church, sometimes for years, and accept them without really thinking about them. Then, at some point, someone challenges your belief and you don’t know how to respond. Other times, Christians just don’t know what to think, or don’t know that their beliefs are what the church has considered heresy for over 1,700 years. For example, according to a recent survey by Legonier, 78% of evangelicals believe that “Jesus was the first and greatest being created by God the Father.” People, if that is the state of the “Bible believing” church, we’re in trouble. So, back to the question. What’s the deal with the Trinity? The Trinity is a concept, a tool, for helping us to understand God as he is revealed in the Bible. It means, simply, threefold (from Latin trinitas) and refers to the idea that God is three in person but one in essence. You will not find the word in Scripture, nor will you find any passage that directly teaches it. Rather, it is an inference that we get from reading what the Bible says about God in multiple places. Let’s look at those. In John 1.1-3, we find out that Jesus, the Word, existed from the beginning. He was with God and he was God. We also see that all things that were made were made by Jesus. So Jesus is an eternal being (not created), because he cannot have made himself – therefore he was never made but always existed. So he is, by definition, God. The only way he can both be God and be with God is if there are two “persons” who are God. This is why we distinguish between God the Father and God the Son. The Father can say things like, “This is my Son, whom I love; with him I am well pleased,” (Matthew 3.17) and Jesus can say, “I and the Father are one” (John 10.30). They are the same in one respect (they are God, they are the same “essence”) but different in another respect. They are different persons. Jesus prays to the Father and listens to and obeys the Father (John 12.49). He makes requests of the Father (Matthew 26.39). He comes from the Father (John 16.28) and goes to his Father (John 14.28). He sits at the Father’s right hand in glory (Acts 2.33). These passages, and many more, point out how the Father and the Son are distinct persons. Jesus perfectly displays God (Colossians 1.151 19; Hebrews 1.1-3). He is, in very nature, God – though he did not need to use it for himself (Philippians 2.6). Jesus created and sustains the world (1.16-17). Jesus can forgive sins (Mark 2.1-12). Jesus can pay the penalty for sins that no man can pay (Hebrews 1.3; Psalm 49.7). These, and many other passages, show that Jesus is fully God. First of all, the Holy Spirit is a person. He has agency and interacts with other persons. The Holy spirit is not a force or idea or simply the action of God. The Bible illustrates this at every mention of him. For example, the Holy Spirit speaks (Acts 8.29), has ideas/opinions/makes decisions (Acts 15.28), teaches (John 14.26), has understanding (1 Corinthians 2.10-11), prays for us (Romans 8.26-27), and gives gifts (1 Corinthians 12.11). This person is God. He was also with the Father and the Son in the beginning (Genesis 1.2). The Holy Spirit resides in the Temple that is the Church (1 Corinthians 6.19). The importance of this becomes more clear when we remember that, in Israel, the Temple of God was literally inhabited by God. Peter says that lying to the Holy Spirit is the same as lying to God (Acts 5.3-4). Jesus says that the Holy Spirit is the one who makes us born again (John 3.5-6). This person is not the Father nor is he the Son. Here is where things get really interesting and the parts start really coming together. In John 14.16-17, Jesus says he will ask his Father to send another helper (another, which means one more like himself) who is the Holy Spirit. The Father, Son, and Holy Spirit are all present here and each are different from one another but each work toward the same purposes of God. In Jesus’ baptism, The Father speaks to the Son and the Holy Spirit descends like a dove on the Son (Mark 1.10-11). In creation the Father speaks the Word as the Spirit hovers over the water (Genesis 1). This might feel like a stretch except that John 1 already shows that the Word in creation was Jesus. 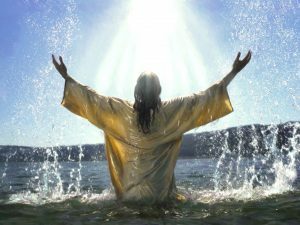 Jesus tells his disciples (Matthew 28.18ff) to baptize believers in the name of the Father, the Son, and the Holy Spirit. This shows that each is equal, but also that each is unique. However, Peter spoke of baptizing in the name of Jesus (and then receive the Holy Spirit). What this suggests is that, in Peter’s mind, baptizing in the name of Jesus and baptizing in the name of the Father, the Son, and the Holy Spirit is essentially the same thing. They have the same name: God/YHWH. In summary, the Bible shows clearly and in many places that the Father, the Son, and the Holy Spirit are all God and that they are individual persons. They interact with one another, and even submit to one another and serve one another’s purposes. This brings us to the next necessary point. This is a fundamental point and truth of the Scriptures. God is one. There are not three gods. There is only one God, but he exists as three persons. We’ll come back to the terminology in a bit. The most famous word about God’s oneness is found in the focal point of the Jewish morning and evening prayer, The Shema. Taken from Deuteronomy 6.4, it is the Hebrew word that begins the verse, “Hear, O Israel: the Lord our God, the Lord is one.” For early Christians, who were all also Jewish, there could have been no mistaking the idea that the deity of Jesus could not be in opposition to the teachings in Scripture about the oneness of God. In fact, the distinguishing factor of Judaism was that it was monotheistic, or only accepted one God. 2 Samuel 7.22 tells us there is no other God, as does 1 Kings 8.60, 2 Kings 5.15, 1 Chronicles 17.20, Nehemiah 9.6, Psalm 18.31, Psalm 86.10, Isaiah 37.16 and 20, and Isaiah 44.6. 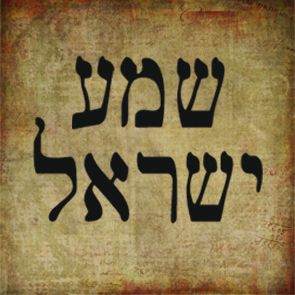 In Mark 12.29.34, Jesus repeats The Shema and affirms its truth. John 17.3 refers to the only true God. Paul affirms one God in 1 Corinthians 8.4-6. Let’s look at this one more closely. Interestingly here, Paul says that there is no other God but one and that the only God is the Father. All things come from the Father and we live for the Father. Then, he says that we have only one Lord, Jesus Christ. All things came through him and we live through him. Clearly, he sees both as being God, and yet affirms at the same time that there is only one God. He also, interestingly, sees our relationship with each one – Father and Son – slightly differently. An opposite problem, however, would be to see God as one and then ignore what the Bible teaches about his three-ness. The Unitarian doctrine that came like a wave over so many New England churches is the teaching that God is one and, therefore, Jesus and the Holy Spirit are not God. Only the Father is God. Jesus was good, was moral, and was a savior, but he is not God. This denial of Scripture has wreaked havoc on our area of the country, in particular. – So we come to this challenging conclusion: There is only one God. That God exists as three persons. This is what the ancient church faced, and why they created the term Trinity. Early uses of the three-ness of God in each person of the trinity are found outside the Bible as early as 110 in the writings of Ignatius of Antioch. Justin Martyr also writes about this in the middle of the 2nd century (150-ish). Theophilus of Antioch use the word we translate Trinity in the late 2nd century. So from the time of Jesus’ death circa 33AD and the end of the writing of Scripture in mid 90’s, we have trinitarian thoughts found outside the Bible within 15 years and the word used within 100 years. The Church was not universally in agreement about the nature of the Trinity, however. In the 200’s Tertullian wrote a defense of the Trinity. Churches began to use the Trinity in their doxologies and worship services. The differences of opinion on this became heated due to some major doctrinal errors that were growing in popularity in the Church. Some believed that Jesus was born a man but became the “Son of God” at his baptism (called Adoptionism). This was condemned in 269 by the Synods of Antioch. Others claimed that Jesus was simply an expression of God and that the Father, Son, and Holy Spirit were merely ways that God revealed himself. They argued that the appearance of interaction between these persons were simply a way of speaking about God. This was called Sabellianism, and Sabellius was excommunicated in 220 for heresy. The biggest challenge to the idea of the Trinity came from Arius. Arianism is the belief that Jesus was a created being, made by God to be “the Son of God” and was, in some sense, divine. Arius denied that Jesus was eternal, but did not deny his divinity. He also denied that the Holy Spirit is God. 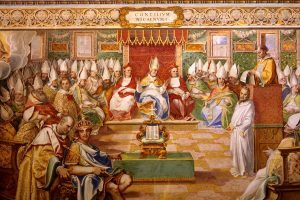 The Council of Nicea (from which we get the Nicene Creed) was called in 325 to answer the question of the Arian versus Trinitarian doctrines. In the end, the church agreed that Jesus was “God of God, Light of Light, true God of true God, begotten, not made, of one being/essence with the Father.” The “of one being” phrase is a translation of the word homoousios, which is the key to the question at hand. Arians tried to change the language to homoiousios, or “of similar essence.” Is Jesus like God or is he exactly like (or, in other words, is he actually) God? In the end, Nicea affirmed that he was actually God. Notice that the early questions about the Trinity primarily focused on the nature of Jesus. After Nicea, Athanasius, Basil of Caesarea, Gregory of Nyssa, and Gregory of Nazianzus formulated more fully both the divinity and personality of the Holy Spirit. Once this was agreed upon, it was necessary, or at least desired, to understand the nature of the Trinity more fully. Here is where the terms “persons” and “essence” come in. The early Church used the term hypostasis, which means the underlying reality or substance (hypo and sub mean “under”) to refer to the members of the Trinity. Hypostasis refers to the particular reality of Christ or the Father or the Spirit. It is the “concrete” person that is referred to. Ousia is the essence, or general reality, of God-ness. These distinctions allowed the Church to refer to the particular members of the Trinity and the Oneness of God at the same time. There is only one Ousia (essence) but there are three Hypostases (persons). The following picture is an attempt to illustrate this reality further.